, Defence Force Recruiting is looking for a consultant to assist in the digital and creative pitch. Last month, Havas Group merged Havas and Host to form one agency, which led to the departure of Havas’ CEO Anthony Gregorio. In 2016 Havas launched a significant campaign for Australian Defence Force Recruiting to attract young men and women to the navy. The closing date of the tender for the pitch consultancy is 10 November. Australian Defence Force Recruiting is launching a creative and digital tender, putting incumbent agency Host/Havas on notice. 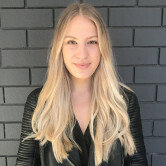 The account is Host/Havas’ biggest client in Australia and AdNews understands the agency is likely to retain the account. Havas won the account back in 2013 from Y&R on a three-year contract, which had the option to extend the contract for another year. According to the tender document, Defence Force Recruiting is looking for a consultant to assist in the digital and creative pitch.